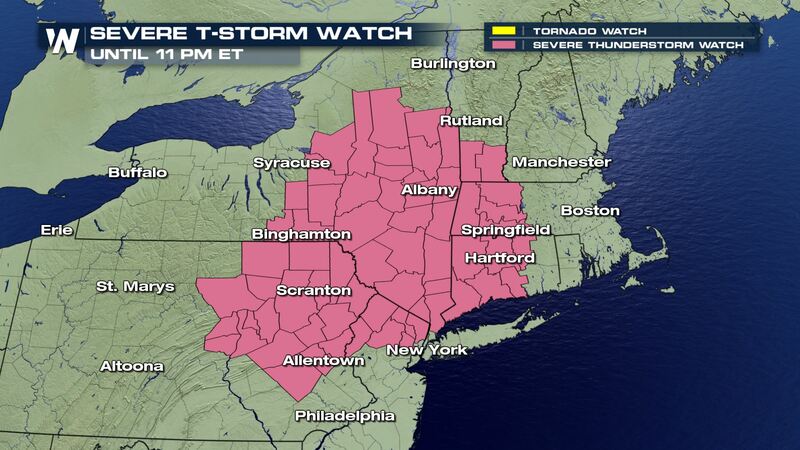 A severe thunderstorm watch remains in effect for several Northeast states for the remainder of Friday. 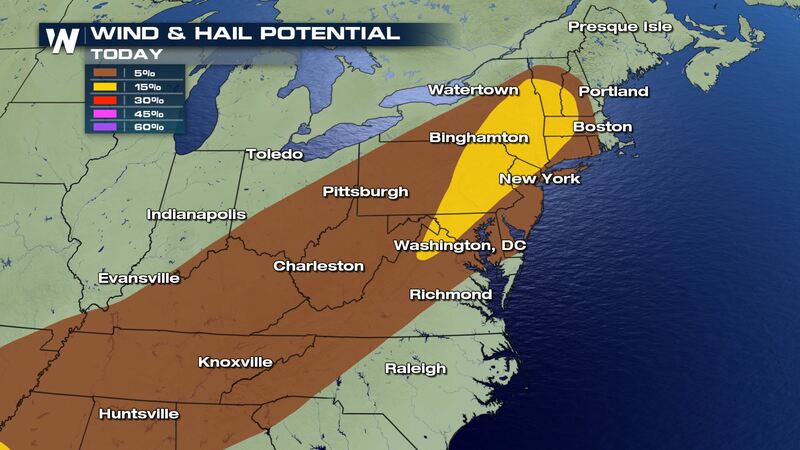 The potential for damaging wind gusts, hail, and tornadoes exists within these thunderstorms. 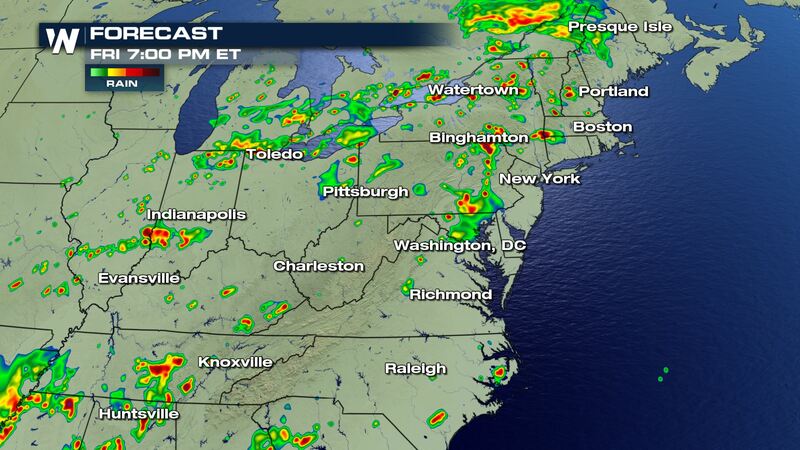 Thunderstorms will continue to fire up along a cold front pressing to the east. This front won’t really cool a lot of you East folks down, rather give you more rainfall after a wet summer so far. 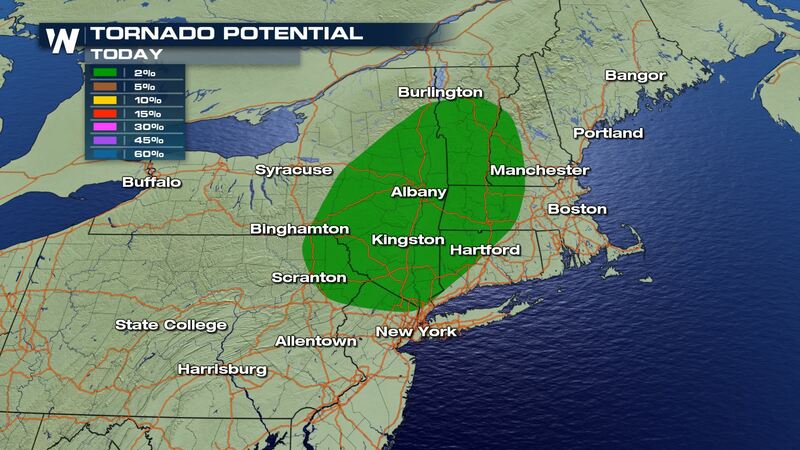 The tornado potential is lower than the hail/wind threat, but still exists for parts of the Northeast. Areas of rain will continue to move to the east/northeast between 20-30 miles per hour. 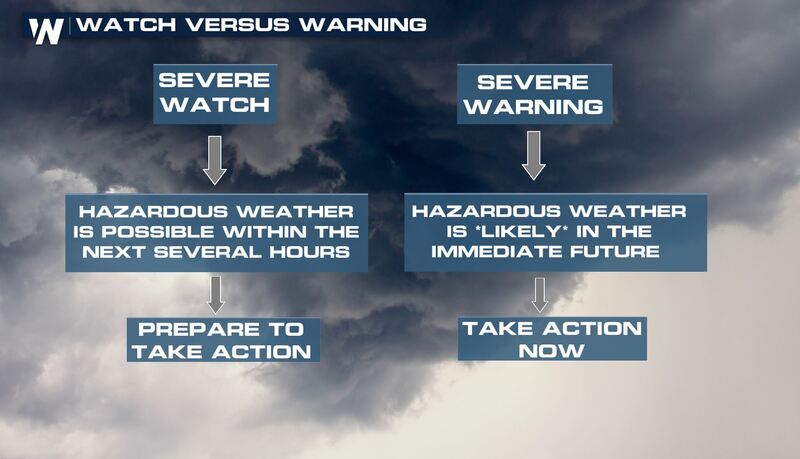 Keep an eye on the west/southwest sky for incoming storms. Simulated radar Friday evening, August 17 where red shows the most likely placement of thunderstorms. Forecast radar late Friday evening, August 17 which shows the potential for storms to last longest in southern New England. 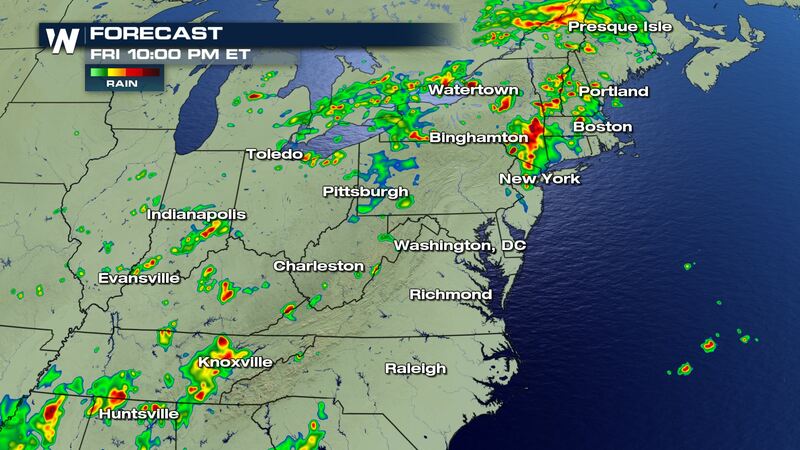 Meteorologist Emily Roehler previously wrote about the heavy rain forecast for the Northeast into your weekend. Tap/click here to read more about that soggy subject!